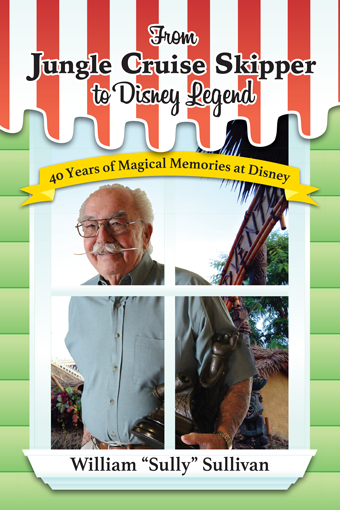 During my first experiences reading David Koenig's Disney history I began to understand that not everything in Disneyland is magic and pixie dust. Stuff happens and some of it is not good! Now Koenig builds on his earlier work by going in depth into Disneyland's legal history. The People v. Disneyland: How Lawsuits & Lawyers Transformed the Magic by David Koenig explores Disneyland's litigation history. The book opens with a discussion on Disney's legal plan for the park, primarily using one firm to handle lawsuits by guests. And Koenig explains their legal strategy, fight as many lawsuits as possible...and preferably in conservative Orange County. This is followed by a over fifty page tour of the park which discusses the falls, trips, accidents, deaths and mishaps at each attraction and the resulting cases, settlements and judgements that have resulted from them. Then Koenig goes into other legal confrontations with both guests and cast members related to safety, race, age and other types of discrimination. 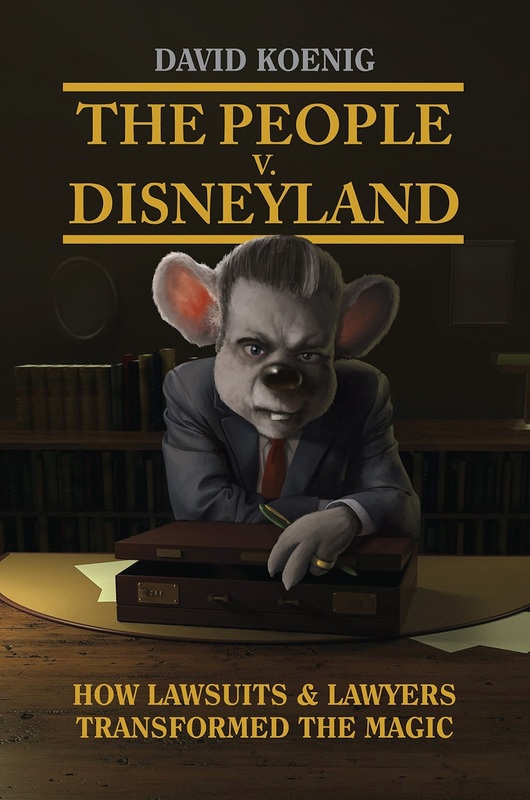 The People V. Disneyland is a must own for the Between Books library. Koenig describes each legal situation in detail and generally without bias. He is clear and easy to follow, especially for someone without a legal background. Thanks to Koenig I have actually been able to discuss "common carriers" in an informed manner with a lawyer friend, and be knowledgeable. So it is fair to say that I learned about Disney history and the law by immersing myself in Koenig's latest book! The remarkable thing about Disney is they really do not lose lawsuits! They are prepared legally, generally have strong paperwork showing they made their best effort, and at times have been intimidating to former guests to scare off litigation. In fact, if anything it makes me sad as I read about situations in which Disney behaves "shadily". I keep telling myself, that is all in the past. So maybe I have gotten to close to the Pixie Dust. It really is terrifying how Disney at times has gone into a bunker mode not calling in the local police or EMTs in a prompt manner when tragedies have occurred. And I will argue at times it looks like they have destroyed evidence by cleaning the scene of accidents. But we must all remember this is a small city and accidents will happen. When accidents happen and guests are either unhappy or unfairly treated, that is when lawsuits spring up including nuisance cases and legitimate attempts to make right what went wrong! Koenig not only provides a chronicle of Disneyland's litigation history, but he also uncovers trends in Disney's legal success. He actually provides a how-to list for readers on how to properly take Disneyland to court and have a slim chance of winning! So along with being a history book, The People V. Disneyland provides practical advice for those attempting to use the courts to have a situation made right by Disneyland. 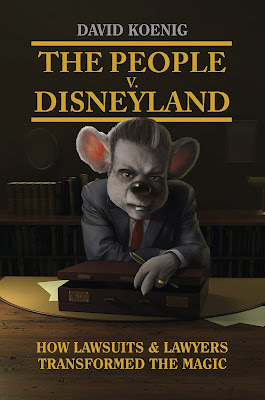 The People v. Disneyland: How Lawsuits & Lawyers Transformed the Magic by David Koenig is a book that shows a darker side of Disney. What happens when the courts are brought to Disneyland? First, lawyers have changed the park for the better by increasing safety and for the worst by removing some of the fun to limit lawsuits. Second, if you claim that you were bumped on Autopia and it is Disneyland's fault, you might want to prepare to go to court and lose. Because as can see from the signs, everyone has been warned not to bump but bumping happens. And Disneyland warned you. So be prepared to lose! There's magic to legally protect here. Great Big Beautiful Tomorrow: Walt Disney and Technology by Christian Moran promises to provide a history of Walt Disney and Technology. While Moran provides a breakdown of Walt Disney's achievements pushing forward animation, transportation and even military thought; Moran really offers a history of an innovator and his role moving forward a variety of fields in the 20th Century. 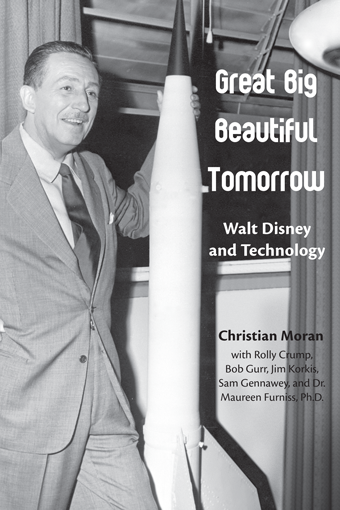 Great Big Beautiful Tomorrow outlines innovations in Walt Disney's career from the development of Mickey Mouse and the use of sound in animated shorts to after Disney's death and how his ideas for EPCOT (the Experimental Prototype Community of Tomorrow) were or were not made a reality. Moran's story is of a man who started in animated shorts, evolved his productions into feature length animated films, entered live-action and eventually entered the theme park business as a avenue to explore personal interests in community planning and changing the physical world. Particularly interesting to me was the discussion of the development of Victory through Air Power during World War II which helped change the public's view of the use of the bomber and the development of an independent air service. Also the discussions of the Tomorrowland segments of Disneyland and their impacts of American thought on space and transportation go beyond the expected discussions of the use of color and sound in animation. Along with Moran's own discussion of Walt Disney the innovator are reflections from those who knew Disney such as Bob Gurr and Rolly Crump and Disney historians including Sam Gennawey and Jim Korkis. Great Big Beautiful Tomorrow is in many ways a focused biography of Walt Disney. This text does not cover in any detail Disney's life before Mickey Mouse or his family interactions. It is really a focused narrative that follows Disney's thoughts on technology and innovation. For those who want to be inspired by an inspirational futurist of the 20th century, this book is really for them. But if one wants to dig deep into every aspect of Disney's life, there are other titles to enjoy that lack the focus of this text. Moran's focus is not a negative. 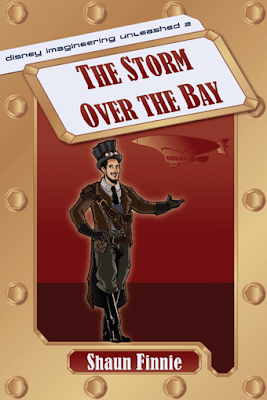 It really does deliver a story of Disney and innovation that provides the reader what they are looking for in a coherent and straight forward manner. Along with many history books I really have only one request, an index. The book provides such a nice outline of Disney and technology that I can easily see a middle schooler or high schooler using this focused biography to help them better understand Walt Disney and innovation. And I can see them using this text to help them craft a research paper. I have been spending a lot of time with teens recently, so they are top of mind. But I also have scribbled a note or two in my copy. And I can see how this book would provide me inspiration in my own research especially when I do not want to pick up a larger and less focused Disney biography.